One of the most important tools in the public health arsenal, vaccines are to thank for the global eradication of smallpox, and for allowing us to defeat the dire threat of infectious disease for more than one hundred years. Vaccine development is where scientists turn when faced with the frightening spread of new diseases like Zika, SARS, and Ebola. So if vaccines have proven to be such an effective tool, why are growing numbers of people questioning the wisdom of vaccinating children? Why have public-sector vaccine producers almost vanished? And can we trust the multinational corporations that increasingly dominate vaccine development and production? 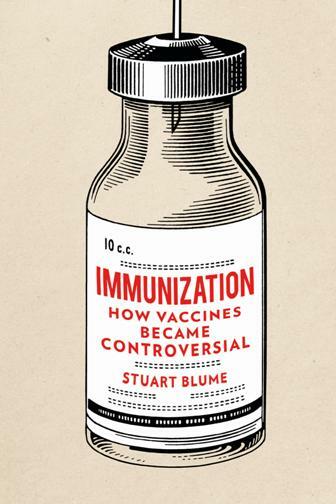 In this highly original and controversial new book, Stuart Blume argues that processes of globalization and unmet healthcare needs are eroding faith in the institutions producing and providing vaccines. He brings together short, readable histories of immunization practices over the past century, from the work of early pioneers such as Louis Pasteur and Robert Koch to the establishment of the World Health Organization and the introduction of genetic engineered vaccines. Focusing on today's "vaccine hesitancy," the book exposes the inadequacies of public health persuasion, and discusses what will be needed to restore parents' confidence. This is a timely history, one that not only sheds new light on the origins of our global vaccine crisis, but also points a way forward.